The Colorado Association of Law Libraries (CoALL), Colorado Association of Libraries (CAL), Rocky Mountain Special Library Association (RMSLA), Colorado Council of Medical Librarians (CCML), and the University of Denver Library and Information Science program regrets to inform you that due to circumstances beyond our control Colleague Connection 2018 has been cancelled. Refunds will be issued as soon as possible. If you have any questions, please contact Holly Pinto at HPinto@hollandhart.com or Tammy Sayles at tsayles@ppld.org. Colleague Connection is an annual continuing education event organized by the Colorado Association of Law Libraries (CoALL), Colorado Association of Libraries (CAL), Rocky Mountain Special Library Association (RMSLA), Colorado Council of Medical Librarians (CCML), and the University of Denver Library and Information Science program. 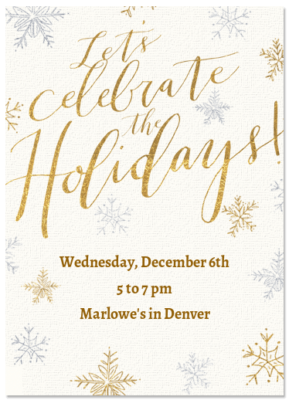 The popular event brings together library students, paraprofessionals, librarians, library administrators, trustees, vendors, and friends of libraries from across the State for an evening of networking, learning, and community. Librarians and information professionals are contending with a challenging environment in which traditional library job prospects are often dire and non-traditional jobs that don’t involve a “library” are springing up. Our job titles range from Chief Knowledge Officer to Data Stewardship Coordinator and Manager of Strategic Landscape Assessments. How do we keep our skills relevant, our value obvious and our attitude fresh in such a rapidly-changing career environment? Two long-time info pros, Kim Dority of Dority & Associates and Mary Ellen Bates of Bates Information Services, bring their broad perspectives and lively presentation styles to address this question. Kim will focus on how to look at your career from a strategic perspective and build resiliency into your career plan. Mary Ellen will talk about building an intrapreneurial attitude and taking a new approach to communicating the value of information. Brownstein Hyatt Farber Schreck has an opportunity for a skilled law librarian or new MLIS graduate to join our firm as an Electronic Services Librarian. We are seeking an individual who is passionate about the growing role technology plays within a law library, and who is confident in their skills to be in charge of all electronic aspects of our library. Backing up reference research librarians when the need exists. The successful candidate will possess a Master’s in Library Information Science degree and a minimum of 2-5 years of experience in a law firm setting. In lieu of law firm experience, a degree in computer science combined with the MLIS will be considered. We prefer candidates to have experience in cataloging as well as SharePoint and EOS Library software. This is a wonderful opportunity to join an established and respected law library, and to make an immediate impact in a growing area of specialization within the department. If you are interested in joining our law firm, please send your resume to Colleen Wheeler, Staff Recruiting Manager, via email at cwheeler@bhfs.com. Our law library is engaged in developing new services, methods of access, and innovative pedagogy to meet the needs of current and future legal researchers. This fellowship provides an opportunity for a recent library and/or law school graduate to fully participate in those endeavors. This one-year fellowship will serve as a foundational experience for a new law librarian to start his or her career. You can find out more information about the law library fellow here: https://lawlibrary.colorado.edu/law-library-fellow. • Assist with the creation of metadata using various schemas; database maintenance; and collection development. • Familiarity with MARC, LC classification and LCSH standards. This position is a 12 month appointment; it pays $48,000 per year and includes benefits. The anticipated start date will be July 1, 2018. • Three reference names and contact information. Well, after almost 18 years as the Colorado Joint Legislative Librarian, I am retiring at the end of the month. I truly appreciate the assistance you have given me over the years. You are a great group of professionals, and I wish you the best for the future.